Dedicate the 20th (Wed) to wine at some of the top wineries in the area. 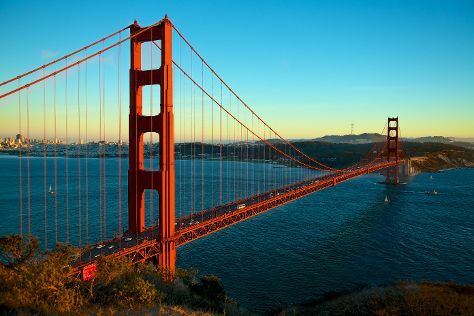 There's still lots to do: snap pictures at Golden Gate Bridge, explore the engaging exhibits at Exploratorium, take in nature's colorful creations at Japanese Tea Garden, and take in the waterfront at Fisherman's Wharf. To find other places to visit, ratings, photos, and tourist information, refer to the San Francisco trip builder . If you are flying in from Canada, the closest major airports are San Francisco International Airport, Metropolitan Oakland International Airport and Norman Y. Mineta San Jose International Airport. In June, daily temperatures in San Francisco can reach 25°C, while at night they dip to 15°C. Finish your sightseeing early on the 23rd (Sat) to allow enough time to travel back home.